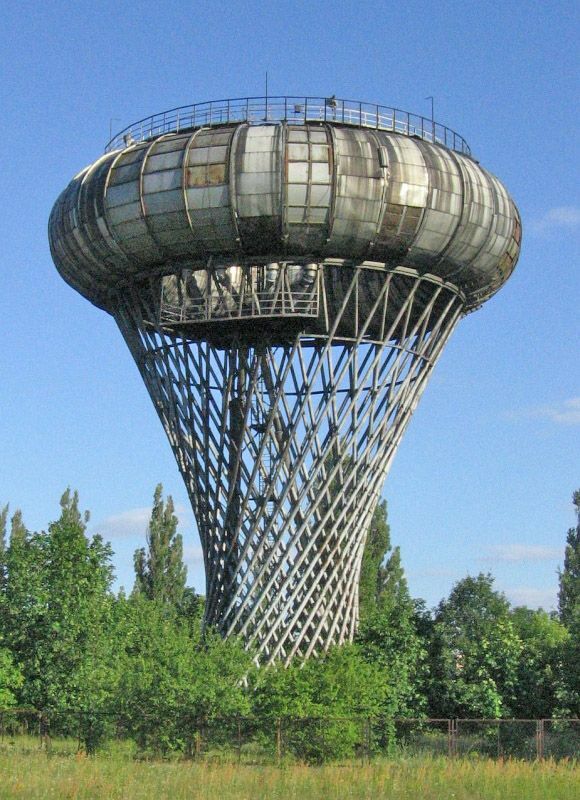 A water tower is an elevated structure supporting a watertank constructed at a height sufficient to pressurize a water supply system for the distribution of potable water. 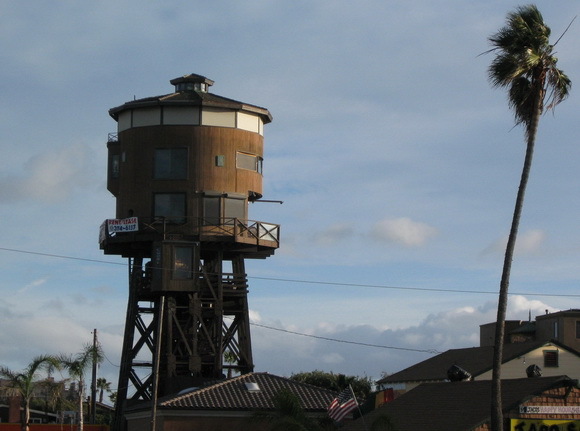 Many water towers were constructed during the Industrial Revolution; some are now considered architectural landmarks and monuments, and may not be demolished. Some are converted to apartments or exclusive penthouses. 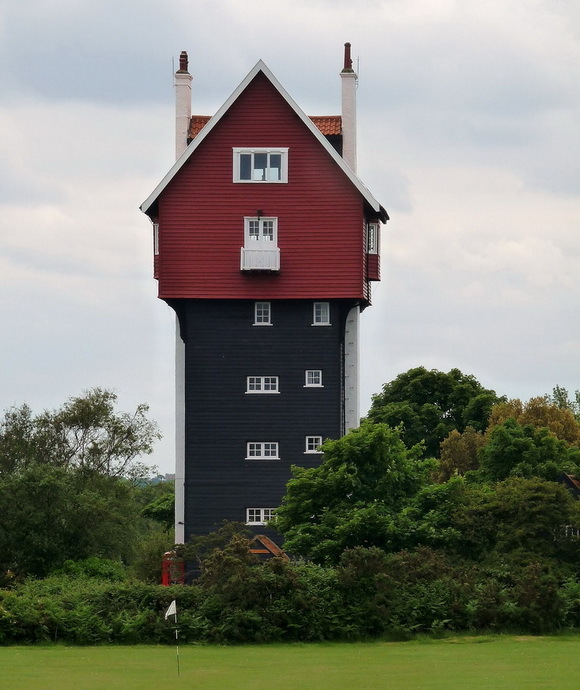 The House in the Clouds is a water tower at Thorpeness, Suffolk, UK. 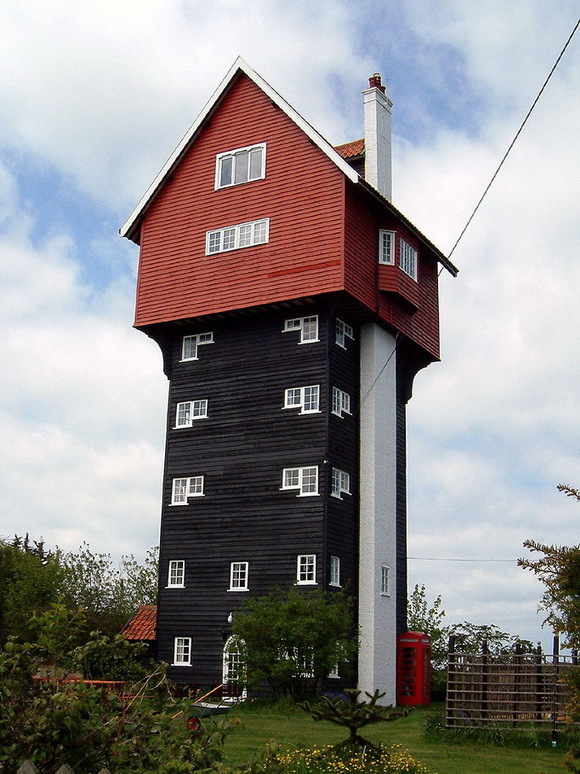 It was built in 1923 to receive water pumped from Thorpeness Windmill and was designed to improve the looks of the water tower, disguising its tank with the appearance of a weatherboarded building more in keeping with Thorpeness's mock-Tudor and Jacobean style, except seeming to float above the trees. 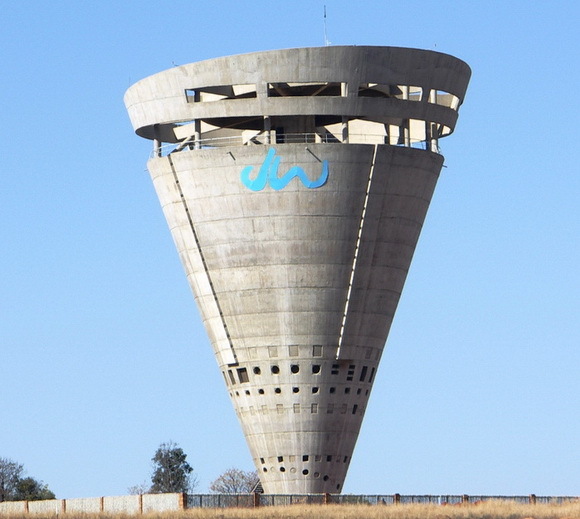 At 6.5 megalitres it is the largest water tower in the southern hemisphere. 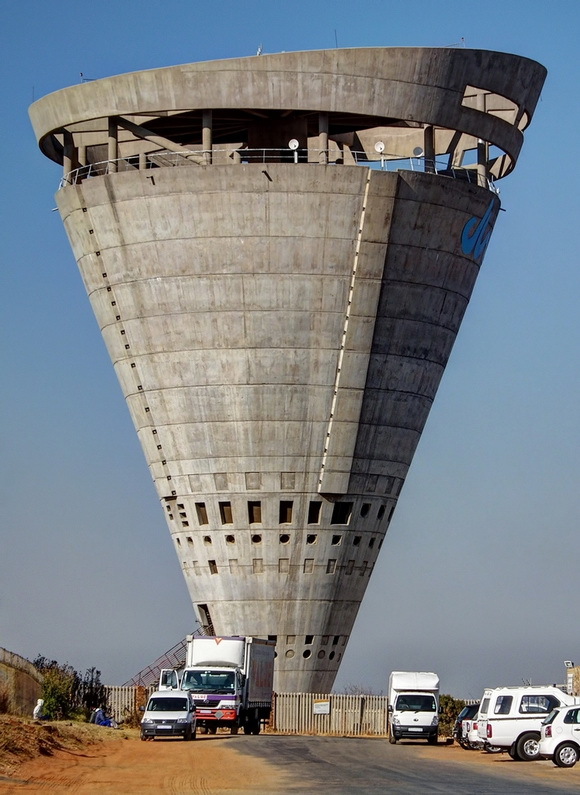 Created of post-tensioned concrete, the cone on a 23 ft. (4 m.) diameter stem with a 33 ft. (10 m.) cube mass concrete base. 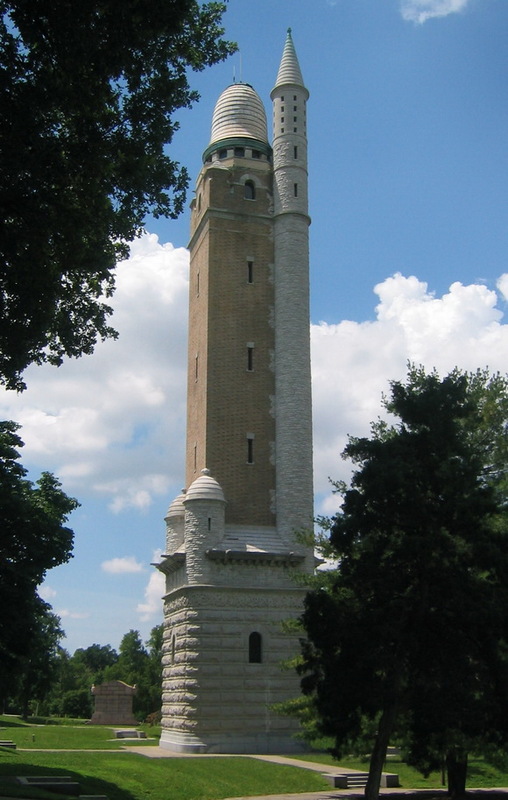 The Old Water Tower lies at the highest point in the town and is a key local landmark. 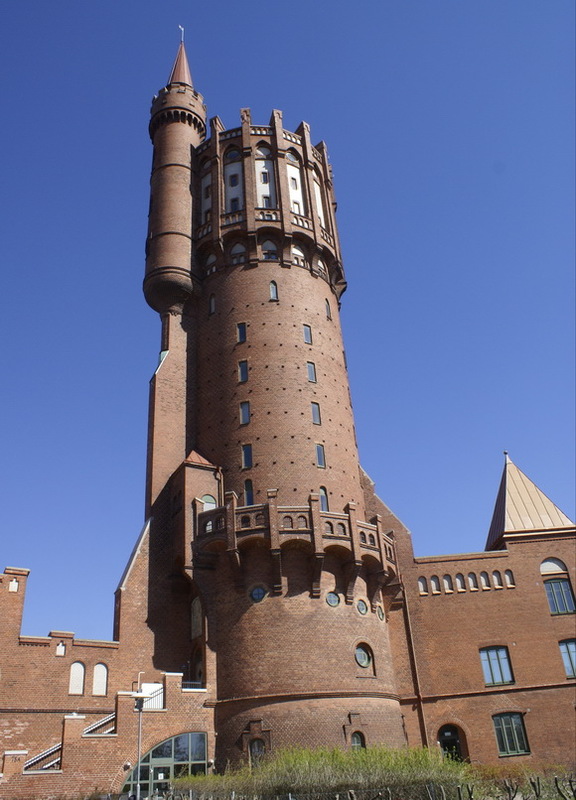 The attractive red brick building was designed by the architect Fredrik Sundbärg. 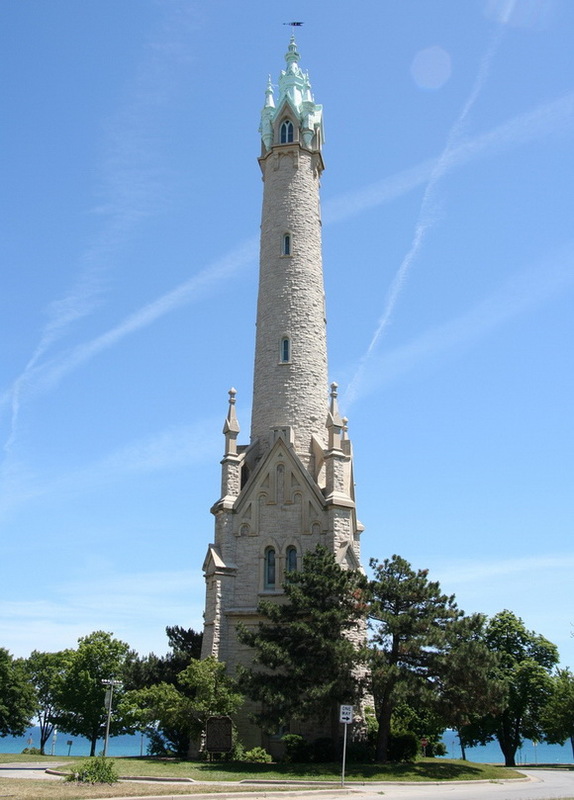 It was completed in 1903. 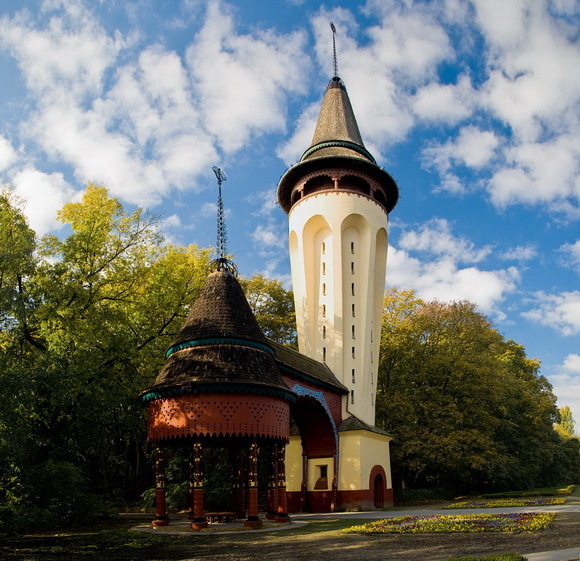 This beautiful water tower is located in the town of Palic and close to the lake of the same name. 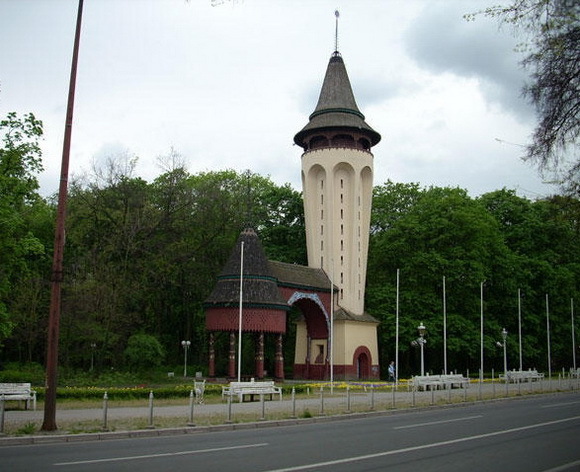 Precisely, Water Tower is in the Great park ( between lake and town) which represents a unique ambient, where natural values and architectural heritage make an overall harmony. 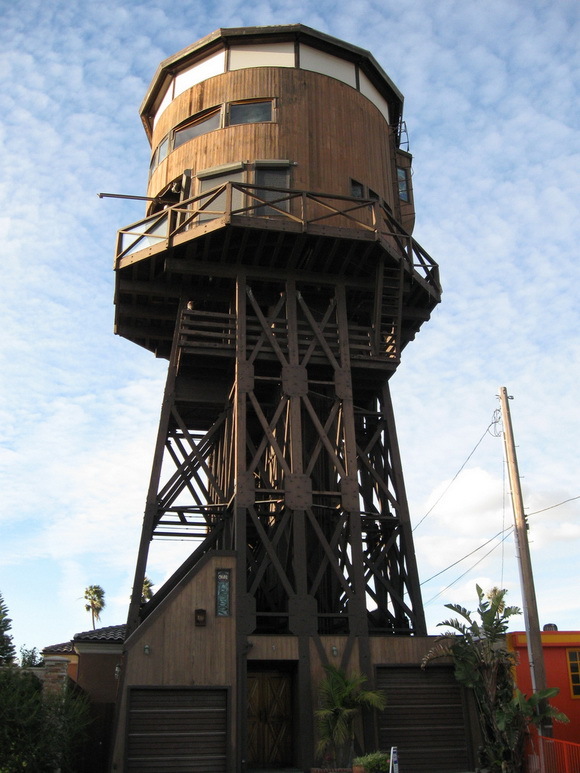 This Californian water tower was built in the 19th century to provide water for steam engines. 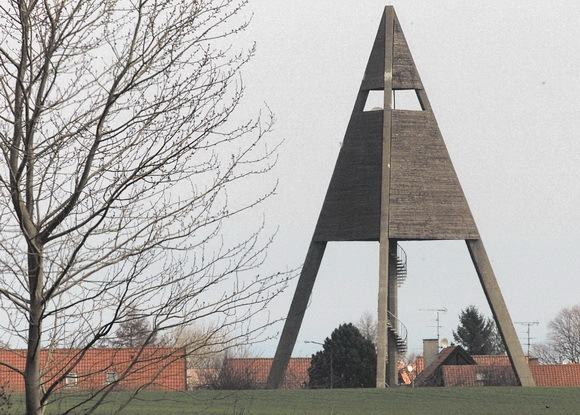 It operated all the way until 1974, and in the 80s it was converted to a home by removing the tank, converting it at ground level and then lifting it back up into place. 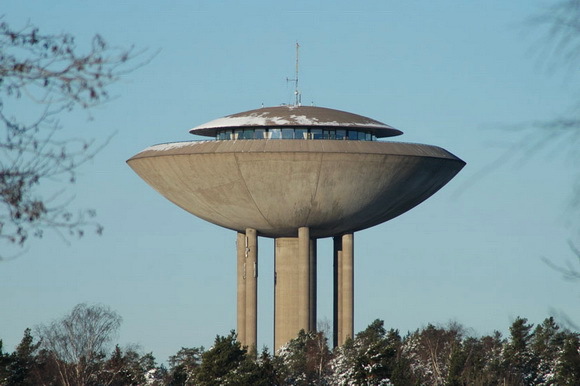 The Haukilahti water tower is located in Haukilahti in southern Espoo, Finland. 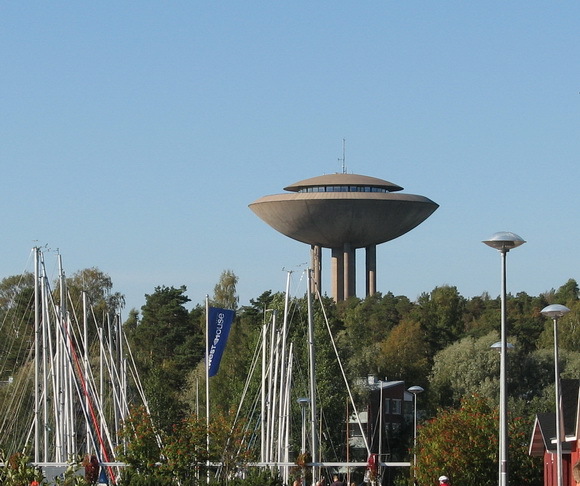 The water tower was built in 1968 and owned by the Espoo waterworks. 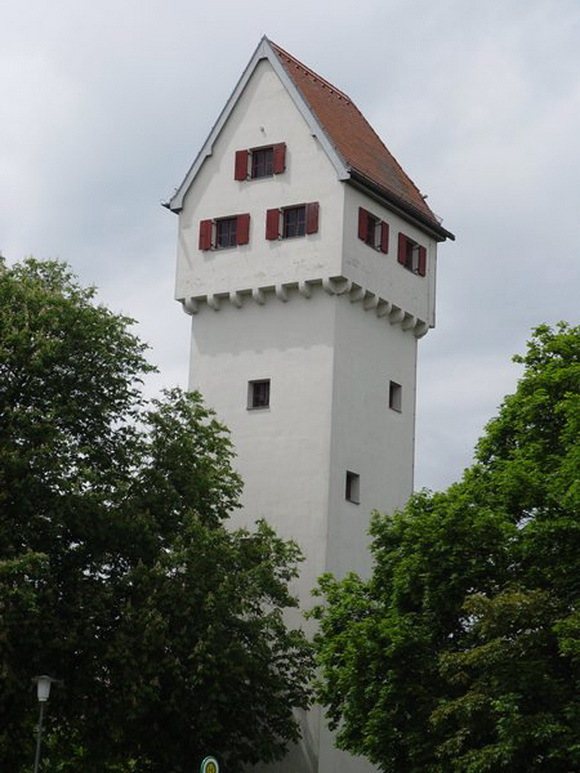 The diameter of the tower is 45.3 m (149 ft) and its volume is 4000 m³ (5,230 yds³). 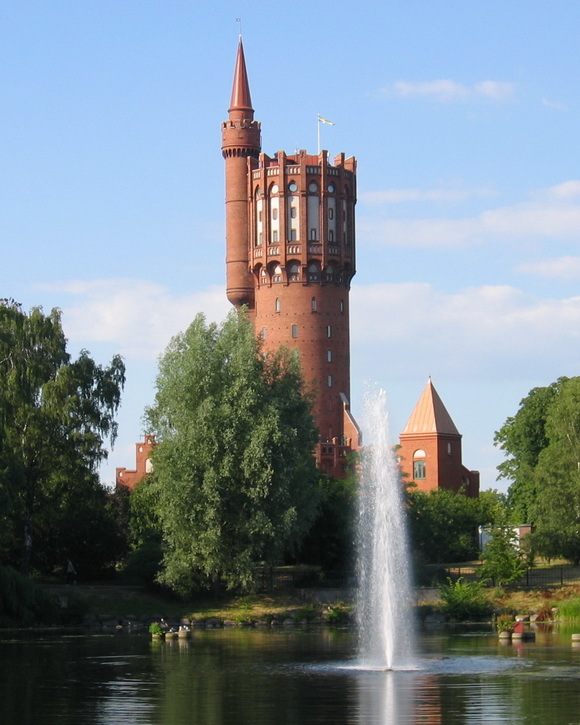 The height of the tower is 45.3 m (149 ft) and from sea level 76.3 m (250 ft). 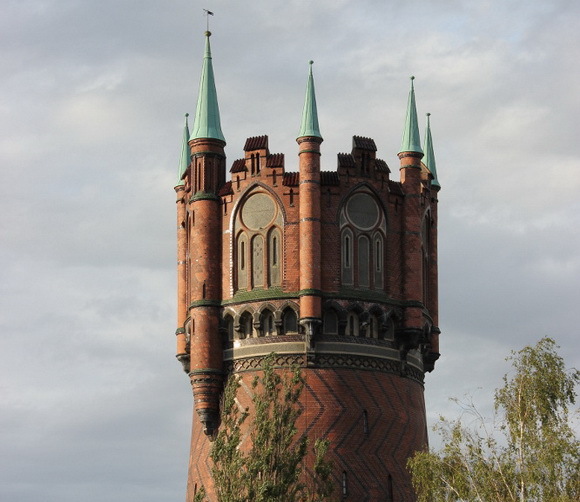 Here stand since 1903 a water tower made of bricks in pattern style with seven stepped gables and blind windows, all rest on a base of granite. 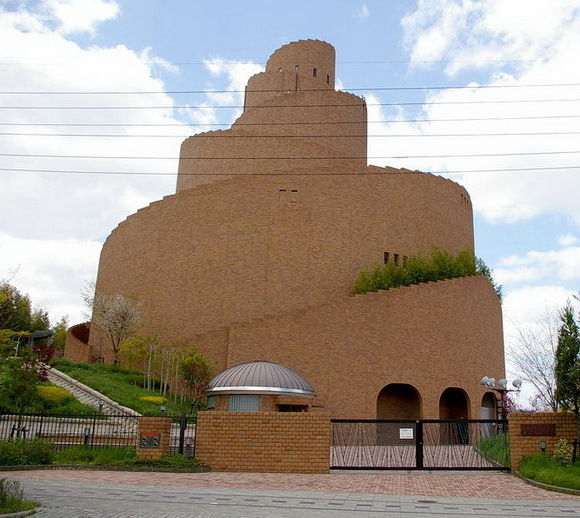 It is 60 meter (197 ft) high building, with a diameter of 18 meters (59 ft) in the base. 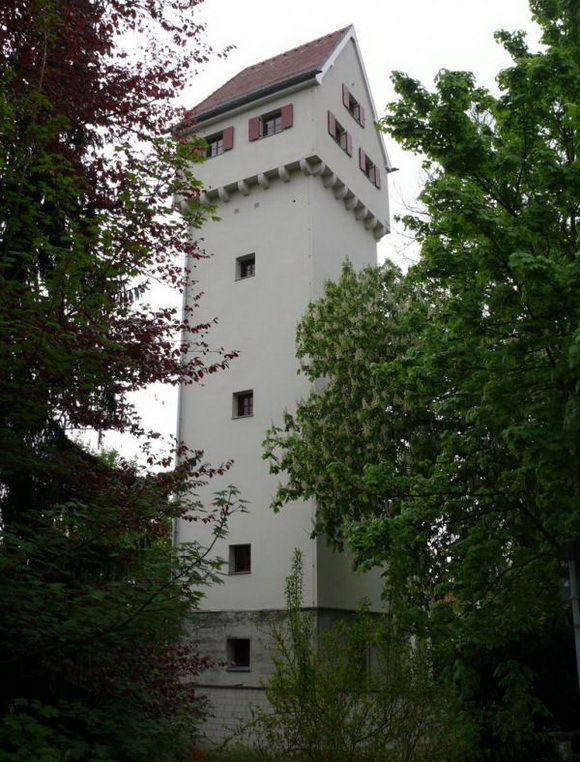 The water tower (located in Garching near Munich), with a quadratic base on 5,4 meter (18m), was built in reinforced concrete. This building is 26 meters (85 ft) high. 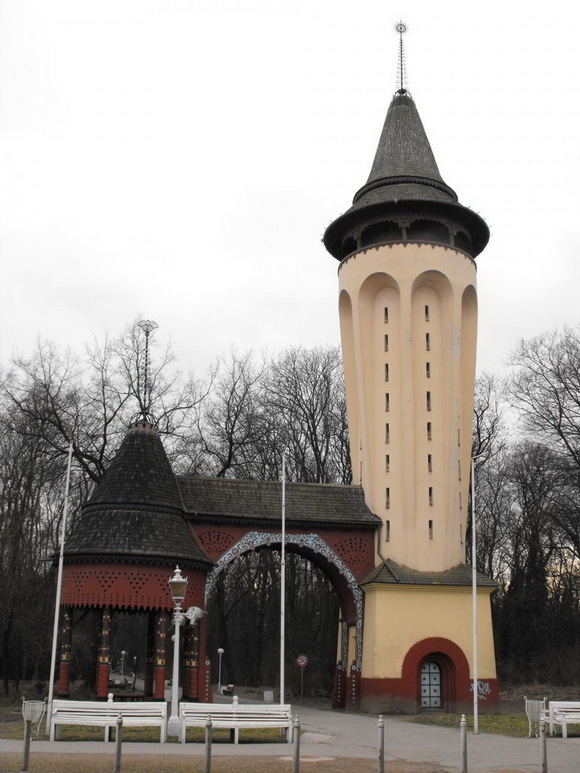 The architect is unknown, and the tower was designed in 1909 and was finished in December 1911. 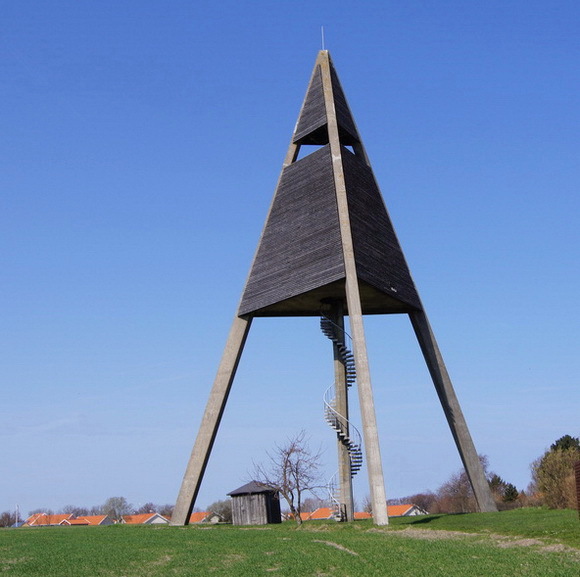 The Svaneke Water Tower in the small town of Svaneke on the Danish island of Bornholm was designed by award-winning architect Jørn Utzon and completed in 1952. It was the first successful project of the architect who would later design the Sydney Opera House. 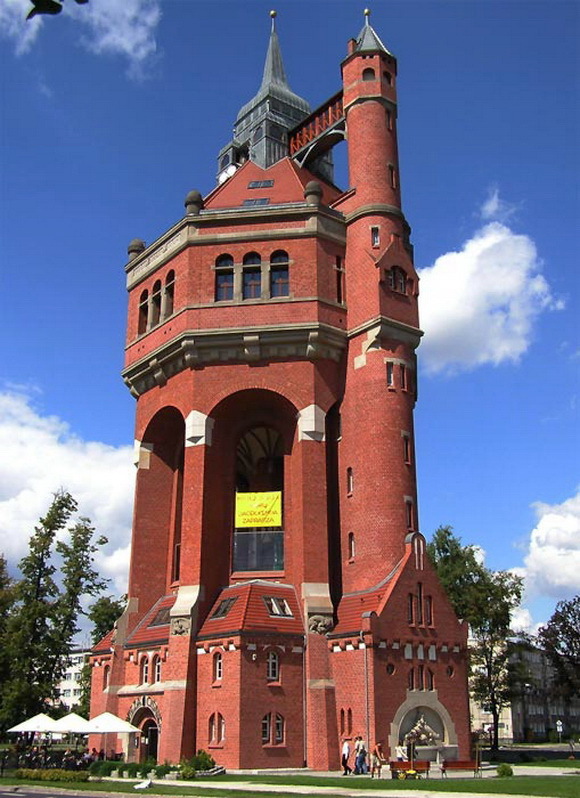 The surprisingly shaped water tower was inspired by the old sea marks used for assisting the navigation of ships at sea. 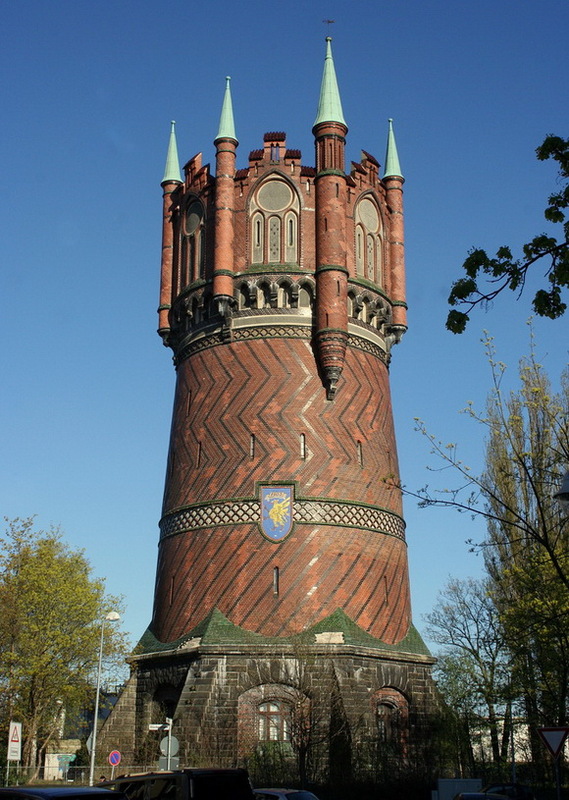 This historic Wrocław water tower is situated in Borek, the district of Krzyki that is the southern borough of Wrocław, Poland. 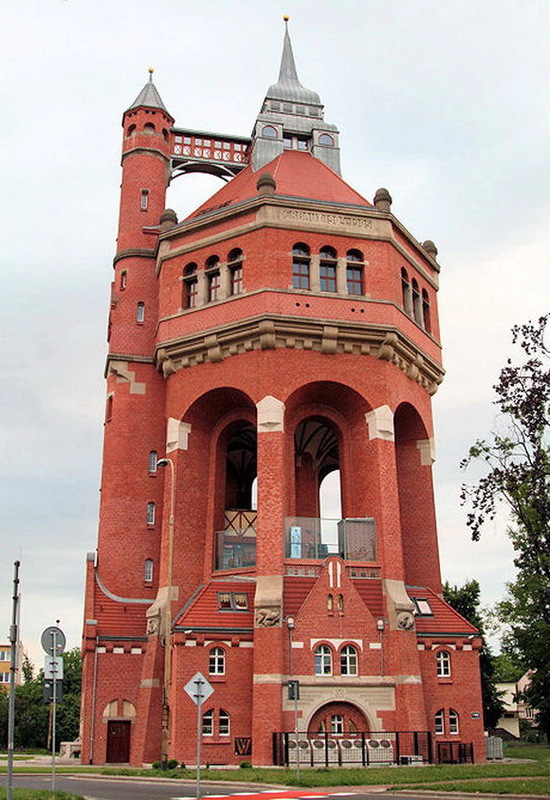 The water tower in Wrocław was designed by Karl Klimm, a reputed local architect.